Since the last year, the Caldera Heating Group, with registered office in Bursa, Turkey, has been operating two robot systems from Carl Cloos Schweisstechnik GmbH in Haiger. The automated machines weld many different varieties of boilers. By introducing automated welding, Caldera was able to increase the productivity and the quality of manufacturing considerably. Since its foundation in 2004, the Caldera Heating Group has developed from a distributor of heaters into an important manufacturer of boilers in steel and cast iron, wood gasification plants and pellet boilers. Today, Caldera exports products related to heating to more than 26 countries, with the sales focus being on Europe. With around 170 staff, Caldera annually produces about 15,000 boilers from steel. These are used both domestically and commercially. "We would like to produce 30,000 boilers a year by 2020", says Caldera's Head of Production, Mesut Boztepe. Since the end of 2014, most of the steel boilers have been welded on two automated robot machines. These boilers vary between a capacity of 15,000 kcal up to 300,000 kcal with a plate thickness of 4 to 10 mm. Both machines each have two stations and are fitted with a six-axis QRH 360 robot. One machine has two WP-TS 5kn workpiece positioners and two WP-TS 10kn workpiece positioners are used on the other machine. They have a horizontal swivelling axis on which an L-shaped extension arm is fitted. A vertical rotation axis with a horizontal face plate is integrated into the extension arm. This serves for holding the workpiece. The positioning devices can pick up components weighing from up to 500 kg or 1t and always bring them into the perfect position for welding. Because of the two-station arrangement, the machines can be loaded mutually. So the operators on one side can remove the welded workpieces and reload the systems whilst the welding process takes place at the other station. This results in an enormous saving on time for the whole process. Previously, the boilers were welded either by hand or partially by automation. By converting to automated welding, Caldera was able to increase the productivity in welding by more than 70 percent. In this way, the heating technology specialists can ensure their competitiveness over the long term. At the same time, they now obtain exactly reproducible welding results in order to meet their clients' strict requirements on quality. Employees from various departments were involved in the technology conversion process from the very beginning. "By involving the staff early, we found a high level of acceptance among them for the robot machines", explains Boztepe. Cloos Turkey has already trained ten of the 40 welders on how to use the robot machines. The remaining staff is gradually becoming familiar with the automated machines. The advantages are obvious: as the robots carry out the physically heavy work, the general danger from arc radiation and welding fumes is much lower. 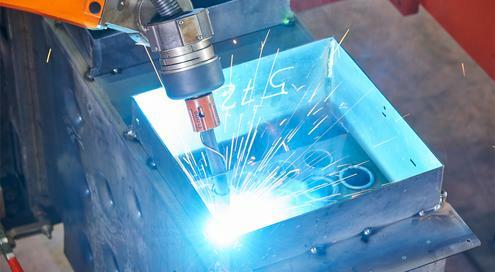 The employees now use the robot machines in rotation: on one day welding is done manually and on the next the robot is programmed. "Welders are much in demand in Turkey, which is why we have to offer them opportunities to develop, in order to keep them with our company in the long term", explains Boztepe. Boztepe praises the personal attention from the Cloos service staff in Turkey and is looking forward to future cooperation. "Cloos offers a brilliant service in Turkey", he emphasises. "Unlike other welding robot manufacturers, Cloos has its roots in welding technology and delivers automated system from a single source", he adds. In order to achieve production targets, Caldera has acquired new premises with a production surface area of more than 20,000 m2. The move is planned for mid-2016. Probably another automated welding system will be installed there. Additionally, by the end of the year the preliminary work, such as pre-tacking, will be automated. Two further robots are being planned for this.